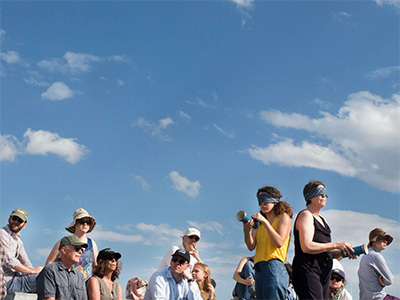 Alvin Lucier’s Sferics 1981 sound installation at Fieldwork Marfa land on Antelope Hills on May 26, 2016. Alvin Lucier Charles Curtis 2002 and Slices 2007 performed by Charles Curtis at the Crowley Theater on Saturday May 28 2016. The thing about writing about “experimental music” is that the phrase “experimental music,” if it means anything anymore, means too many things. It usually gets abused as a stand-in for “something which I cannot accurately describe or put my finger on” or “this is not mainstream American culture.” But sometimes it means something specific, like in Cage’s writings or in this essay by Michael Pisaro, in which the relationship between the composer and performer in experimental music is explained in terms of baseball. This is within a distinct experimental music tradition that happens to involve chance, performer decisions, quite a bit of silence, among other things. For Alvin Lucier, I think “experimental music” means something different. It’s a clear, unique instance of the phrase. 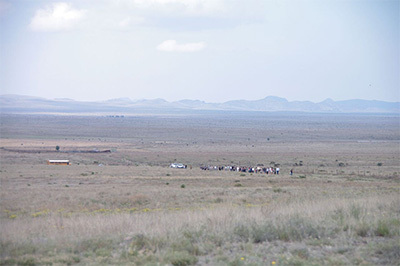 On the weekend of May 26-29, I and a handful of other fans of experimental music drove out to Marfa, TX for Marfa Sounding, a series of concerts featuring works by Alvin Lucier and Elaine Radigue, performed primarily by Charles Curtis. 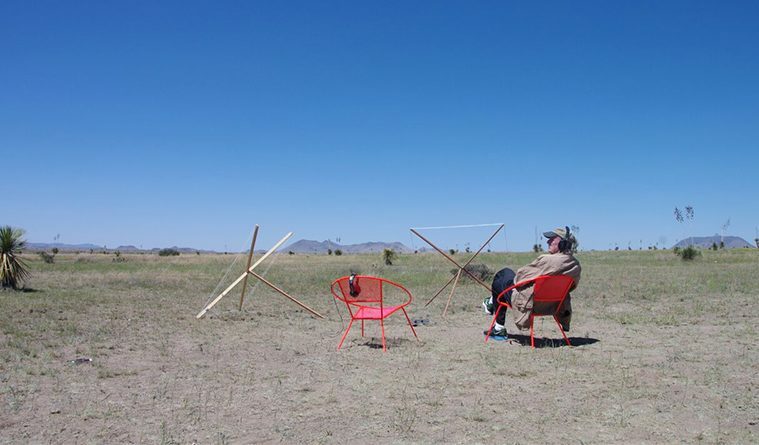 Marfa Sounding was presented by Marfa Live Arts in collaboration with Fieldwork Marfa. 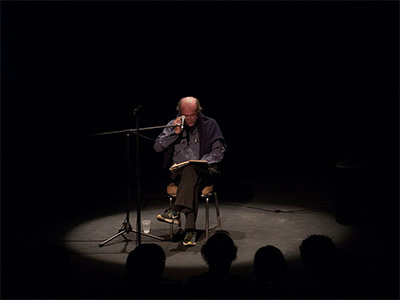 Alvin Lucier performs I Am Sitting in a Room 1970 at the Crowley Theater on May 28, 2016.Photo by Sarah Vasquez. Lucier describes his work in simple terms. He lists literal instructions, procedural steps. He says what happened and in what order, what his thoughts were and what linked them together. It’s very easy to follow along. Sferics, (1981), was installed on a plot of land just outside the city limits. On Thursday, we walked in from the road to a small circle of dirt. In the middle, two antennas pointed outwards into the desert. The antennas were plugged into a homemade amplifier connected to two pairs of headphones. Visitors seemed confused. They didn’t know what to expect. There were no speakers, there were no directions saying what to do. In the moment, I thought it was a communication oversight on behalf of the organizers, but the more I thought about it, the more appropriate it seemed, letting them encounter the whole thing themselves, even if it meant waiting in line for a pair of headphones. There is frustration waiting in line, but there is also novelty and scarcity. If all you get is five minutes, you’d better really listen to those five minutes. Sferics are natural atmospheric disturbances in the ionosphere. The whole thing is far above all of our heads, but what you need to know is that there are natural electric things up there, and they can be brought down here, transposed to a hearable range, and spit out into headphones. These pops and crackles sound like a solid dissolving in chemicals in a petri dish, like a middle school science experiment. In that dirt circle, I was thinking of Lucier as an early natural scientist. He’s not someone who completely understands how the ionosphere works or needs to understand how the ionosphere works, he’s someone who understands just enough to go about building a homemade apparatus to access the thing. Alvin Lucier’s Vespers 1969 performed by Crystal Catano, Rob Gungor, Christine Olejniczak and Inès Elichondoborde at Dixon Water Foundation Mimms Ranch on May 29, 2016. Photo by Sarah Vasquez. On Friday, at the Chamberlin Building, among John Chamberlain’s colorful, mangled steel sculptures, Charles Curtis performed Naldjorlak I, a piece composed for him by Elaine Radigue. This is a very special piece. Radigue spent more than 30 years building a body of electronic music unlike any other, but in 2004, she devoted herself solely to composing music for acoustic instruments. She began this process with Charles. The inception of the piece is detailed in this really amazing interview with Curtis. Really, you should read the interview, it’s pretty incredible. 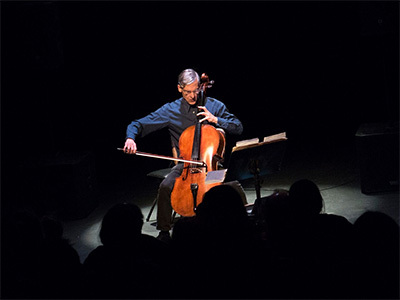 Naldjorlak expresses a general congruency of all of the potential resonating elements of the cello. The tailpiece, endpin, and tailpiece wire I have tuned nearly to the essential frequency of the cello’s resonating cavity, for these purposes defined as the frequency of the so-called wolf tone. The wolf tone itself is to some degree tuneable, it slides up and down a bit in response to greater and lesser overall string tension. Listening to recordings of Naldjorlak, like listening to recordings of her older electronic music, feels meditative. It is deep and calming. She is a Buddhist after all. It feels good to lie down and close your eyes. But watching Curtis with his cello, it felt active and focused, there was an intensity I missed on the recordings. The piece is extremely physical. The sound isn’t just there, it is forcefully pulled with care from the cavity of the cello. Curtis is in a unique position: a number of modern composers have written works for him. He worked closely with La Monte Young. Lucier has written pieces for him. Many of these pieces are devised, they have no notation, or they are transmitted to him via oral tradition and close collaboration. One of the things I’ve never really thought about that Curtis articulates so well is the role of the interpreter, especially in modern music where decisions are often left up to the performer. These decisions are not improvisation, they are interpretive choices for the piece. I’d seen him perform some Feldman pieces that used a graphic score, but for the first time I was really wondering how he picks which notes to play. That’s a heavy decision. Audience walking to program at Dixon Water Foundation Mimms Ranch on May 29, 2016. Photo by Sarah Vasquez. This brings me to something he said on the panel, which was one of the most interesting moments that weekend. When someone brought up notions of “space” and “materiality” of sound and other words that we use to describe the values of “modern music” and “sound,” Curtis said something really insightful. Unfortunately, I have to poorly paraphrase, but basically he said that people have forgotten that the history of western music is the history of space and frequency and the beats between notes and all these wonderful things we love to think and talk about now. That’s the history of music. It’s all there! By sequestering that history, naming it “classical,” and stuffing into a generic performance space(s), we forget all that. If classical music is dead, it’s because it was killed, even if it was on accident. And we do need to be reminded. This may be me being conservative, but sometimes I worry that we think modern music or sound art or whatever the hell it’s called has special access to the phenomenology of listening. As if we could finally enter the paradise of real listening. Not to diminish that, I love that listening and I love sitting around and talking about listening, but are we, sitting here today listening and talking about listening to this special music, special in that regard? Did Bach not listen deeply, and what does shallow listening look like? Done speaking, the piece begins, the reading repeats, describing itself again and again until it’s all washed out. It is easy to talk about the thing from the outside, but hard to describe the experience in itself, which is one of the William James qualifications for “mystical experience.” Which is maybe why I lapse into mystical explanations for a lot of this music. But like Curtis reminded me, the intellectual consideration is important. There is a lot of thought in Lucier’s music. Later, trying to understand, I looked for clues in the text. Why the last line? Why is it not “a demonstration of a physical fact,” but just “to smooth out irregularities?” Lucier describes the work as “devoid of poetic content,” but as he read it, I heard that content. For me, it was a poem, a very good poem that is a literal description of what is happening. So maybe it is devoid of poetic content, and we bring our own poetics to it. That’s why our explanations – be they mystical or drawn from literature of critical theory – don’t add up when we try to create a “dialog”, and the only satisfactory explanation is Lucier’s literal list of instructions. Again, Lucier’s writings in Notes on Experimental Music, especially for Sitting in a Room, are worth seeking out. Back to the words “site specific.” I am Sitting in a Room is not site specific, but it has a special, different relationship to space. It’s the opposite of site specific. It can can address any room. So what do we call that? Site agnostic? On Sunday, we marched up to Mimms Ranch for the premiere of a new work by Lucier called For Morty (which is site specific!) and a performance of Vespers (1968). Lucier stood up and told us about how Morton Feldman told him about how he liked to sit on the beach and listen to all the different sounds being carried down the shore by the wind. The piece was written for Curtis and the wind. So there was Curtis, playing in the distance, and us, sitting on a concrete circle 50 yards away, hearing the wind in our ears and these little, almost inaudible cello tones. It was strange and perfect to see him out there, with his hat on, in the very ordinary afternoon sun. I like how daylight makes things seem, or actually shows things to be, transient. It’s merely a part of the afternoon, which brings a different, special feeling of importance. Vespers uses echolocation to have four performers find their way to a location between them. Vespers may be the most experimental of all the pieces, because it has the most unpredictable variables: four human brains. The performers are blindfolded, holding these clicking, flashlight-looking instruments. Their perception is the one being altered, not ours. The aural experience is for them, not us. It’s like watching a researcher collect bugs in a jar. One performer stood out there for a while, and at some point a decision was made to bring them in. That was the outcome of the experiment. There’s no pleasure, but it is interesting, and resists categorization into good and bad, which is a good thing. Without climax, the weekend was over, and we walked away, and I felt good about it all. Before that performance on Sunday, curator Jennifer Burress said, “We asked Alvin to come and he told us if he is still alive, he will be there.” Lucier is one of the last ones left, and the other ones are getting up there. I catch myself saying this all the time, that the last ones left are all almost dead, but it’s true, that history and a lot of histories from that period are coming to a close. So much “modern music” of the 20th century sounds dated, like a parody of the imagined future, but the ones I love resist that. Feldman pieces could have been made a hundred years ago or could be made tomorrow, it is its own level of art. Sitting in the room hearing I am sitting in a room felt as new to me as it must have felt for someone sitting there listening to it 30 years ago. Lucier’s music is experimental, and it has a special place in the history of experimental music. 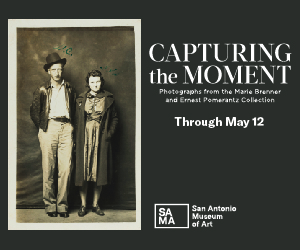 It is, and will continue to be, worth our thought, time, and attention to revisit these works today and tomorrow.